Clear Air Conditioning & Heating specializes in effective air filtration to ensure a clean, healthy, and comfortable indoor environment for our customers in Peoria, AZ and surrounding areas. Let our fully licensed and experienced technicians resolve issues with the dust, pollen, bacteria, fumes, and much more. The HealthPro Plus, our most popular air quality accessory, takes advantage of four advanced filtration technologies for proven results against a broad range of particulate and molecular pollutants. Whether you suffer from respiratory ailments, such as asthma or allergies, or are simply looking to optimize indoor air quality, Clear Air Conditioning & Heating delivers sustainable results. The HealthPro Plus removes up to 100 times the contaminants and allergens as the majority of its comparable competitors. This innovative technology utilizes advanced HyperHEPA filtration, and is recognized as the first air cleaner to ever achieve “zero” reading on a particle counter test, allowing not a single particle to escape. 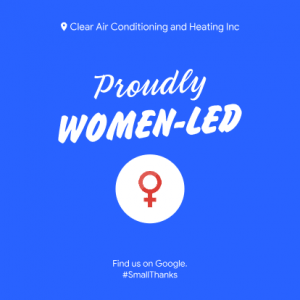 The certified team from Clear Air Conditioning & Heating ensures the right solution to your specific requirements, and stands behind the HealthPro Series in the US and Canada, protecting against defects in parts and labor for a full five years. The leading choice of hospitals worldwide, Clear Air Conditioning & Heating is a certified IQAir Authorized dealer and provides service throughout Sun City, Peoria, Glendale, Deer Valley & Arrowhead Ranch, AZ. Pelletized chemisorption eliminates hazardous chemicals, including formaldehyde, through an oxidation process within a chemically active alumina pellet. As a certified Trane Comfort Specialist Clear Air Conditioning & Heating is proud to meet the stringent standards set by Trane to qualify as a Comfort Specialist. We are committed to the highest level of customer satisfaction and continuing education. Let us make you more comfortable! Curt Wellendorf is recognized by the Mechanical Trade Contractors of Arizona as 2016’s MTCAZ Contractor Member of the Year in appreciation for his professional commitment to the Mechanical Trade Industry. As a certified IQ Air® dealer Clear Air Conditioning & Heating provides medical-grade air purification for your home. We are dedicated to providing the best air cleaning products and support available today. Our products create healthy environments in homes, hospitals and laboratories around the world. See what’s happening at ClearAir. Download our newsletter for the latest information.